I’ve never made anything as cool as what Google software engineer Max Braun recently created, and guess what? He did it in his spare time. 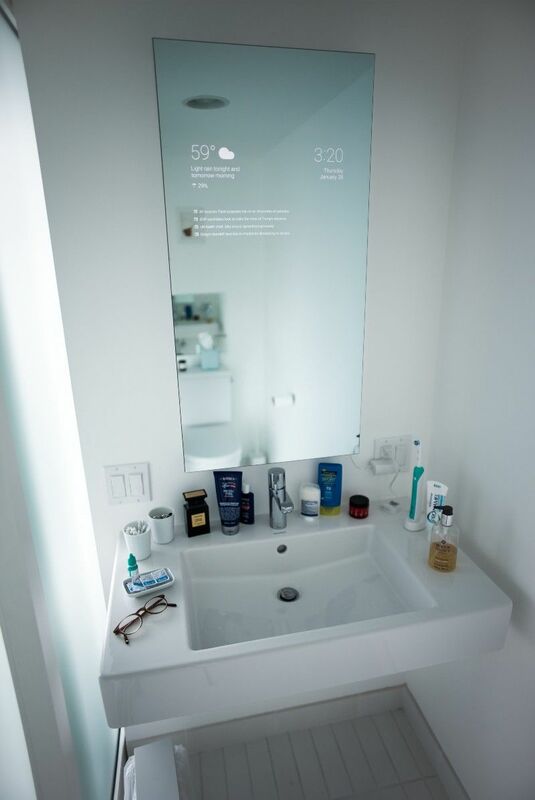 Braun essentially created a massive Android smartphone home screen in the form of a bathroom mirror. He posted all of the results on Medium, and not only is the smartphone-like bathroom mirror cool, but it’s also very practical. I, for one, would love to wake up in the morning, look in the mirror while I brush my teeth, and be able to see the date, time, weather, news updates, etc., all at once. While Max Braun did admit it took a good bit of experimentation to finish with such an incredible result, he says the tweaking is not over. The mirror’s UI automatically updates news and weather from Android APIs and is capable of performing a voice search. The next step? Adding even more features to the sleek mirror of course. Forget Vinyl Records? This Guy Created a Playable, Laser-Etched Tortilla!